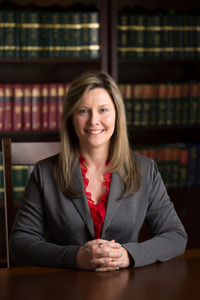 Michele D. Smith has been practicing law in the Western North Carolina area for more than a decade. After earning her Juris Doctor from the University of North Carolina, Michele moved to the mountains of the Tar Heel State, where she has built a home and strong law practice. She prides herself on providing clients with a personable experience built around a small but dedicated professional staff. Her areas of practice include: Real Estate, Business Law, Wills and Trusts, Adoptions, Personal Injury, and much more. Michele’s unbridled enthusiasm for her clients and their matters is only tempered by her tireless enthusiasm for giving back to her community by collaborating with local nonprofit organizations. When she’s not assisting clients or participating in community activities, she enjoys hiking and camping with her husband John, and beloved pets, Abby and Scout.